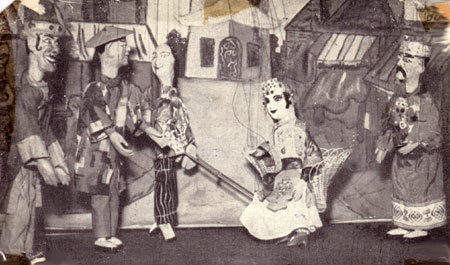 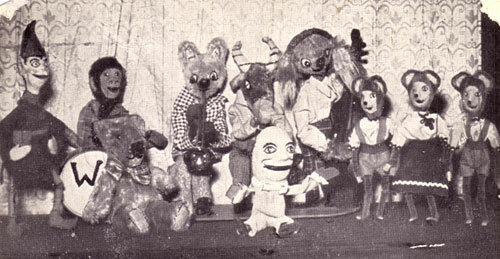 Mabel Crowther was known for presenting delightful family marionette shows for Summer Season at the Lido Puppet Theatre in Cliftonville, Kent, in the late 1950s and early 1960s. 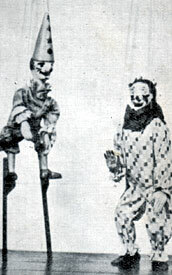 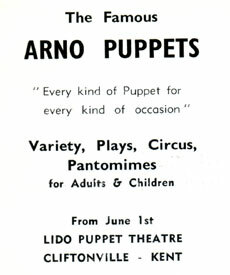 The Lido was an Entertainment Complex for holiday-makers which had a Theatre presenting traditional seaside holiday entertainment, while Mabel had full use of a second auditorium, set aside exclusively for puppets. 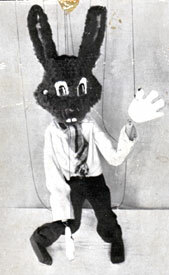 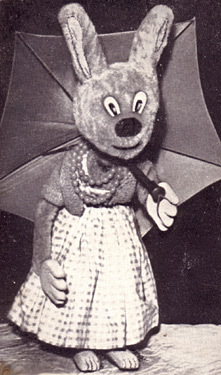 The much-loved rabbit marionette above, would often be found sitting in a deck chair outside the Theatre, greeting younger visitors, with Mabel close at hand to advise parents of show times and programmes. 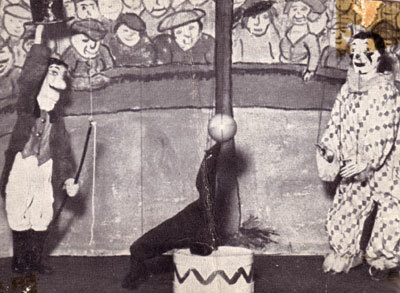 Many different productions were staged - Variety, Plays, Circus and Pantomime including Jack & The Beanstalk and Aladdin and these were performed several times each day throughout the Season.